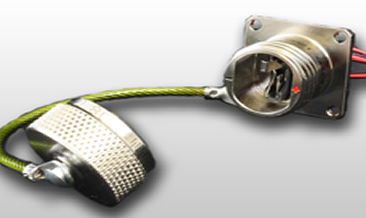 It is estimated that 85% of receptacles sold in the connector industry have contacts that are PC Tail type termination. While receptacles with standard crimp contacts are widely available with short lead times and competitive pricing, the custom PC Tail contacts often have long lead times. Each customer requires PC Tail contacts with unique length and diameter requirements for their specific application. Because of this, it is not unheard of for 12 week deliveries being delayed out to 14-16 weeks and still the resulting product fails to meet expectations for overall fit. Additionally, the connector rear area where there are mil spec required accessory threads and teeth create unnecessary length problems. FilConn is now offering an alternative to this scenario. At FilConn, we have been making filtered and custom connectors for many years. It is quick and easy for us to design and produce a connector that meets the customer's specific needs. We manufacture all of our own shells which allows us to easily provide receptacles with custom shell dimensions and features such as eliminating the rear threads and teeth if they are not required. This results in space and weight savings for applications that are weight sensitive. Additionally, our PC Tails are designed and machined to meet custom specifications so our customers can be assured of a perfect fit. Finally, we can offer value added features such as clinch-nuts, helicoils and stand-offs. All with as little as 4 weeks lead time.